Monoclonal antibodies are becoming an important class of antitumour agents, as they have been shown to enhance the efficacy of various therapeutic regimens without significantly increasing systemic toxicity. Combination of antibody-based therapeutics may be more efficacious than each individual antibody alone. Antibody combinations and dual-targeting bispecific antibodies represent promising approaches to more efficacious antitumour therapy. The additive and synergistic therapeutic effects derived from combinations of cytotoxic agents support the notion that cancer, a disease of multiple genetic alterations, must be attacked on multiple fronts. In the past decades, a number of chemotherapy regimens have been developed. These regimens are usually cocktails that comprise several cytotoxic agents that act on different cellular targets and / or processes critical for cancer development, growth and metastasis. Because most cytotoxic agents lack selectivity towards tumour cells, the increased antitumour efficacy of these regimens unfortunately also cause severe systemic toxicity. To this end, Monoclonal Antibodies (mAb) with high specificity and affinity have been developed. These mAb are being used either as unmodified (or “naked”) or as targeting devices to deliver toxic molecules to tumour cells that overexpress the defined antigens, and have shown considerable success for the treatment of certain type of cancers. The unmodified mAb exert their antitumour activity via one or more mechanisms, including direct inhibition of a specific aberrant signal transduction pathway in cancer cells by blocking growth factor / receptor interaction, down-regulation of oncogene expression, induction of cell apoptosis, and mediation of effector mechanisms such as Antibody-Dependent Cellular Cytotoxicity (ADCC) and Complement-Mediated Cytotoxicity (CMC). Unfortunately, due to the low intrinsic cytotoxicity of the unmodified mAb drugs, many cancers escape from antibody monotherapy by exploiting redundant signal transduction pathways and by compensating for the inhibition of one survival / proliferation pathway with upregulation of another. An obvious approach to overcome cancer cell escape from monotherapy is to simultaneously attack multiple cellular proliferative / survival mechanisms of the malignant cells by a combination of chemotherapeutics, radiation, and antibody-based drugs. It has been well-established in the clinic in several cancers that the addition of a specific mAb to chemotherapy or radiation regimens led to increased antitumour efficacy without concomitantly increasing systemic toxicity, which is usually dictated by the chemo or radiotherapy agent. In addition, accumulating evidence suggests that the use of two or more antibodies targeting different mechanisms of tumour growth / survival may be more efficacious. However, the costs on research, development, manufacturing, and regulatory approval of therapeutic mAb are already extraordinarily high, and the addition of a second, or even the third, mAb to a treatment regimen could make such approach prohibitively expensive. To this end, a promising alternative to antibody combinations is the development of dual-targeting Bispecific Antibodies (BsAb) that simultaneously act on two or more cellular pathways critical to tumour growth and metastasis. While combination treatment with antibodies and chemo / radiotherapy is clearly effective, improvements must still be made. Since the toxicity of these regimens is attributable primarily to the cytotoxic agents, which are frequently used at their maximum tolerant doses, fine tuning of the dosage / scheduling of these components is unlikely to yield dramatic results. To this end, combinations of mAb directed against multiple proteins associated with tumour growth and survival may represent a better strategy for increasing efficacy while limiting systemic toxicity. The most obvious approach to antibody-based combination therapy is to simultaneously administer two or more approved antibodies to a patient. Unfortunately, because only nine antibodies have been approved so far by the US FDA for cancer applications, and because the approved indications of these mAb are usually non-overlapping, the clinical utility and efficacy of antibody combination therapy has not been pursued systematically and significantly to this date. Since this field is still in its infancy, most of the evidence supporting antibody combination therapy comes from preclinical studies. For example, combinations of antibodies targeting Epidermal Growth Factor Receptor (EGFR) and Vascular Endothelial Growth Factor Receptor (VEGFR), or EGFR and Insulin-like Growth Factor Receptor (IGFR), or EGFR and Her2 / neu, have all been demonstrated to produce synergistic / additive antitumour activity in animal models. Further, combination of antibodies to different epitopes on the same target, e.g. Herceptin and Omnitarg® to Her2 / neu, has been shown to synergistically inhibit the survival of breast cancer cells in vitro and the growth of xenografted tumours in vivo. On clinical development front, the combination of Erbitux®, an anti-EGFR antibody, and Avastin®, an anti-VEGF antibody, which have been approved for treatment of patients with Colorectal Cancer (CRC), is particularly noteworthy. A Phase II study (81 patients) has been performed to test the effect of the combination of both antibodies with or without irinotecan for irinotecan-refractory CRC. Of those receiving Erbitux®, Avastin®, and irinotecan, 37 per cent achieved a partial response and had a median time to progression of 7.9 months, while 20 per cent of those receiving just Erbitux® and Avastin® had a partial response, with a median time to progression of 5.6 months. Although not all the drug permutations are included, and inter-study comparisons are not statistically valid, the relatively high response rate of Erbitux® / Avastin® / irinotecan combination (37 per cent) compared to Erbitux® / irinotecan alone (23 per cent, historical rate) suggests that antibody combination therapy warrants further study. Phase III trials with this combination for CRC are underway. Similarly, multiple late stage clinical trials using a combination of Herceptin® and Avastin® are being conducted in breast cancer patients. Although there are many potential benefits of using approved mAb in combination therapy, there are many drawbacks as well. The characterisation and development of a mAb-based therapeutic can be a very time-consuming process. Developing antibodies individually in clinical trials and then repeating this process with combinations of antibodies would present an unacceptable cost and delay to pharmaceutical and biotech companies. Further, developing an antibody in combination with one made by another company poses a serious risk to the investment due to the lack of control of the development plan. From the consumers’ perspective (and insurance companies), the cost of mAb therapy is staggering—a typical mAb-containing regimen cost tens of thousands of dollars while a combination therapy can easily exceed US$ 100,000. An attractive alternative to mAb cocktails is the use of dual-targeting BsAb. BsAb have the potential to alleviate the aforementioned issues by combining two treatment modalities in one molecule. While the concept of BsAb as potential therapeutics for cancer treatment has been around for more than 20 years, no BsAb has so far been approved for clinical therapy. Most BsAb research has been on the creation of bispecific fragments, and centred on developing BsAb as re-targeting agents that simultaneously bind tumour antigens on one arm, and effector cell antigens such as CD3 and CD16, radioisotopes, or chemotoxins on the other. Recently there has been an increased focus on IgG-like BsAb. These molecules contain an intact Fc domain, which endows them with the effector functions, such as ADCC and CMC, and the long half-life of normal IgG. As with antibody fragments, most applications of IgG-like BsAb have been for re-targeted therapy. However, the use of IgG-like BsAb as integrated dual-targeting agents that simultaneously block two tumour-associated targets is becoming an increasingly attractive approach in further enhancing anticancer therapy. It has recently been shown that in some cancer cells, upregulation of IGFR compensates for inhibition of EGFR, and renders the cells insensitive to anti-EGFR therapy. It is, therefore, plausible that a BsAb inhibiting both the receptors would have increased efficacy over each mAb alone. With this in mind, we have constructed and tested pre-clinically both in vitro and in vivo two bispecific IgG-like molecules targeting both EGFR and IGFR, using the variable domains of two fully human antibodies directly against EGFR and IGFR, respectively. In one format, the single chain Fv (scFv) are fused to the constant domains of an IgG (scFvEGFR-CL and scFvIGFR-CH1-CH2-CH3), and bispecificity is achieved through CL-CH1 dimerisation. This construct, called (scFv)4-IgG, blocks ligand binding to both receptors, and inhibits EGF and IGF induced activation of EGFR, IGFR, and their downstream signalling pathways. In a pancreatic tumour cell line that expresses high levels of both EGFR and IGFR, treatment with anti-EGFR or anti-IGFR alone inhibited growth of only 25 to 35 per cent, while treatment with the combination of both monospecific antibodies or the bispecific construct inhibited growth by ~80 per cent and ~60 per cent, respectively. In the another format, a bispecific IgG-like antibody is made by substitution of the CL and CH1 domains with VL and VH domains conferring secondary specificity, resulting in a diabody-Fc fusion, called a “di-diabody”. The two chains (VLIGFR-VHEGFR and VLEGFR-VHIGFR-CH2-CH3) associate by the natural affinity of VL and VH domains. This BsAb binds both receptors simultaneously and blocks the signalling pathways stimulated by EGF and IGF. Furthermore, the di-diabody triggers internalisation and degradation of IGFR, and also mediates ADCC activity on tumour cells that express EGFR and / or IGFR. Most importantly, the di-diabody inhibited the growth of two tumour xenografts in vivo as effectively as the combination of the two parent mAb. If combinations of mAb of different specificities could provide multiple mechanisms for tumour inhibition, then in theory, more is better. To this end, oligoclonal antibodies (defined mixtures of mAb) and polyclonal antibodies could represent good candidates as potentially effective cancer therapeutic agents. Recently, recombinant methods for production of polyclonal antibodies have been developed. Basically, phage display of a Fab library is used in conjunction with negative selection to isolate many antibodies that specifically bind cancer cells. The DNA encoding these Fabs is recloned en masse into a mammalian IgG expression vector and polyclonal IgG produced. In one study, a polyclonal IgG raised against a tumour cell line was shown to be more effective than a mAb at inhibiting the growth of the same tumour cells. Alternatively, cell lines expressing the mAb of interest can be generated, banked and maintained individually, and then combined just before the final production process. While the concept of oligoclonal and polyclonal antibodies is appealing, they are likely to be met with skepticism by the FDA regarding their safety and efficacy, as well as batch consistency in the manufacturing process. We are fortunate to have a variety of arsenal available for treating cancer, including conventional cytotoxic agents, radiation, targeted toxins / conjugates, and signal transduction inhibitors. While cytotoxics and radiation are very effective at cell-killing, the lack of selectivity towards tumour cells severely limits their potential, thus they are unlikely to provide a “cure” for cancer. The challenge in developing better treatments for cancer thus may lie in increasing the efficacy of more tumour-specific therapies and targeted toxins / conjugates without concomitantly increasing systemic toxicity. The therapeutic efficacy and manufacturing capacity to produce the materials in sufficient quality and quantity are two of the most important factors in determining our success in developing the BsAb into powerful anticancer agents. It has long been known that not every single combination of cytotoxic agents, e.g. chemo or radio-therapeutics, would necessarily lead to additive or synergistic antitumour activity—inappropriate combinations may result in unwanted drug-drug interaction, even inter-drug antagonism, due to difference in their mechanisms of action. To this end, developing BsAb that are highly effective dual-modality therapeutics will require good understanding of the molecular basis in the aberrant signalling pathways that lead to cancer growth and development. With this information, appropriate combinations of targets, such as EGFR and IGFR, can be chosen for simultaneous targeting in order to maximise the antitumour effects and / or minimise the potential inter-target antagonism. Finally, it is pertinent to note that, BsAb, like the monospecific mAb therapeutics, can be used both as stand-alone therapies and in combination with conventional chemo and radio-therapy regimens for further enhanced efficacy. On the manufacturing front, as with many protein-based therapeutics, the most limiting factors to BsAb production are practical and technical in nature. Ideally, a BsAb would be homogenous, stable, and well expressed, like normal IgG. BsAb have historically been produced by co-expression of two antibodies in one cell, via the hybrid hybridoma technique or DNA co-transfection. Because there are many possible pairings of light and heavy chains (16 permutations), the desired bispecific product is only a small fraction, in theory an eighth, of the total protein produced. In the past years, there have been a number of new IgG-like BsAb created through recombinant techniques for the production of high quality, homogenous proteins, including the (scFv)4-IgG, di-diabody, IgG-scFv fusion and dual-variable-domain IgG (DVD-IgG), but still more work must be done to bring production yields up to the levels obtained with conventional mAb. 1. J. Marvin and Z. Zhu, Bispecific antibodies for dual-modality cancer therapy: killing two signaling cascades with one stone, Curr Opin Drug Discov Devel 9 (2006) 184-193. 2. L. B. Saltz, H. J. Lenz, H. L. Kindler, H. S. Hochster, S. Wadler, P. M. Hoff, N. E. Kemeny, E. M. Hollywood, M. Gonen, M. Quinones, M. Morse, H. X. Chen, Randomized phase II trial of cetuximab, bevacizumab, and irinotecan compared with cetuximab and bevacizumab alone in irinotecan-refractory colorectal cancer: the BOND-2 study, J Clin Oncol 25(2007) 4557-4561. 3. J. S. Marvin and Z. Zhu, Recombinant approaches to IgG-like bispecific antibodies, Acta Pharmacol Sin 26 (2005) 649-658. 4. D. Lu, H. Zhang, D. Ludwig, A. Persaud, X. Jimenez, D. Burtrum, P. Balderes, M. Liu, P. Bohlen, L. Witte and Z. Zhu, Simultaneous blockade of both the epidermal growth factor receptor and the insulin-like growth factor receptor signaling pathways in cancer cells with a fully human recombinant bispecific antibody, J Biol Chem 279 (2004) 2856-2865. 5. D. Lu, H. Zhang, H. Koo, J. Tonra, P. Balderes, M. Prewett, E. Corcoran, V. Mangalampalli, R. Bassi, D. Anselma D, D. Patel, X. Kang, D. Ludwig, D. Hicklin, P. Bohlen, L. Witte and Z. Zhu, A fully human recombinant IgG-like bispecific antibody to both the epidermal growth factor receptor and the insulin-like growth factor receptor for enhanced antitumor activity, J Biol Chem 280 (2005) 19665-19672. 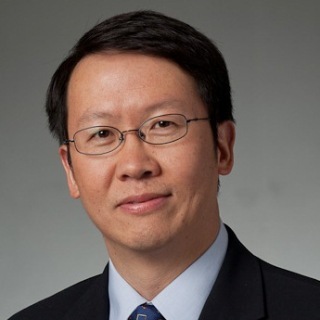 Zhenping Zhu has been working in the field of antibody therapeutics for over 23 years, and has authored over 160 peer-reviewed scientific publications. He leads the antibody discovery and protein engineering efforts at ImClone, and has produced more than a half dozen of antibodies that are currently in clinical development, including phase III trials.